Monday – Friday: 10:30 a.m. – 1 p.m., 5:30 – 7:30 p.m.; Weekends and holidays: 12 p.m. – 6 p.m. 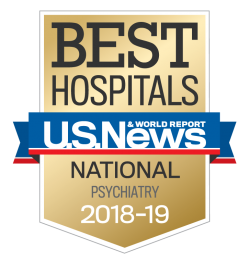 The Child and Adolescent Neuropsychiatric Unit at Sheppard Pratt’s Towson hospital is a safe, secure, and highly specialized 14-bed inpatient unit. It is designed for children ages five through 17 who have autism spectrum disorder and/or an intellectual disability. While children are in our care, our focus is on safety and crisis stabilization; children and adolescent generally come here after engaging in extreme aggression at home, experiencing severe difficulties in school, or when behavior is out of control to the point that it cannot be managed at home. Learn more about this specialized unit.